All users of the BBC's iPlayer service will have to log in with a personal account from early 2017. Users of BBC services can already create an online account - known as a BBC ID - but this is not currently required in order to access iPlayer. From Tuesday, BBC ID holders also have to add a postcode to their account. TV Licensing has access to the information but the BBC says it has no current plans to use it for enforcement purposes. The corporation says the changes are part of an attempt to make its services more personal and localised. Anyone watching BBC programmes via iPlayer has been required to have a TV licence since the start of this month. A BBC ID - which allows users to personalise BBC content such as online news - currently requires only an email address and password, though anyone wishing to comment on stories must also provide a date of birth. About seven million accounts already exist, the BBC said. Coming less than a month after the extension of the licence fee to the iPlayer, it's hard not to see this as just a way of encouraging people to pay up. The inclusion of a postcode as part of the new compulsory sign-up information certainly suggests it could be a way of alerting TV licensing to homes that currently don't have a licence but are watching the iPlayer. The BBC says the information won't be used for enforcement - but adds it may be in the future. The personalisation argument has some weight. With young people watching less and less "live" TV, the key to ensuring they are even aware of what is on offer is to find out who's watching, track their tastes and try to tempt them with programmes that reflect their age and where they live. All broadcasters want to know more about their audience, especially the harder-to-reach younger viewers. 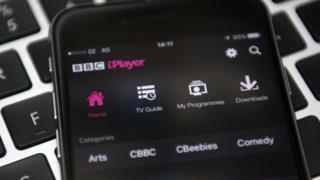 The rule change earlier this month closed the so-called iPlayer loophole. Previously, a TV licence was only necessary for viewers watching live television, allowing iPlayer users who only watched programmes after they had been broadcast to avoid paying the £145.50 annual fee. The BBC has said "significant numbers of new people" have bought a licence since the new rules came into effect. BBC director of radio Helen Boaden said the move was not connected to changes to the supposed loophole, but was "about giving you a better BBC". She added: "We will keep our processes under review to make sure they are effective. The government has asked us to review whether a verification system for accessing the iPlayer will be required in the future." Tony Hall, BBC director general, said: "By learning about what you want and like we can take you to more of the great programmes you love, stories you might be interested in and content you might otherwise never have discovered. "This is a real transformation - reinventing public service broadcasting for the digital age."